Attention audiophiles, you gotta check this out. 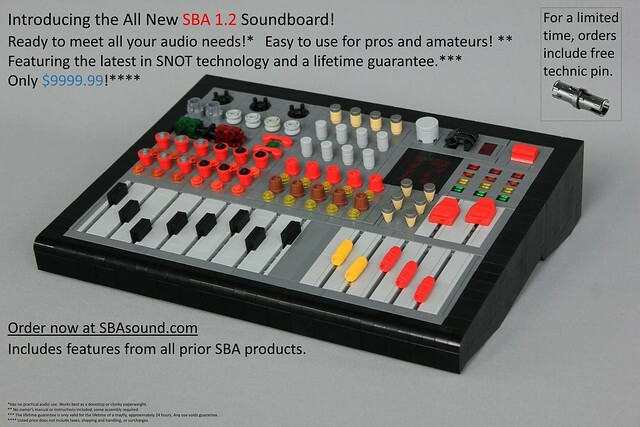 The new SBA 1.2 Soundboard is out and it's a beauty. Just look at all those dials, buttons, slider and doohickies, it must be awesome. And if you order now for the bargain price of $9999.99 they throw in a complimentary technic pic, what are you waiting for? Nice one soccersnyderi.